pcNewsWire – Cuba Ventures Corp. (TSX-V: CUV; OTCGM: MPSFF) has announced and closes a non-brokered private placement of 600,000 units at a price of $0.05 per unit for gross proceeds of $30,000. 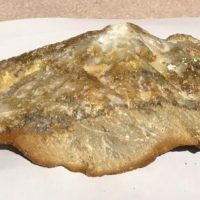 Vancouver, BC – Cuba Ventures Corp. (TSX-V: CUV) (OTCBB: MPSFF) (the “Company”) announces and closes a non-brokered private placement of up to 600,000 units (the “Unit”) at a price of $0.05 per unit to raise proceeds of up to CDN $30,000. Each Unit will consist of one common share and one non-transferable share purchase warrant (the “Warrant”). Each Warrant will entitle the holder to purchase one additional common share, for a period of five years, at a price of $0.05 per share. The private placement is subject to TSX Venture Exchange acceptance. 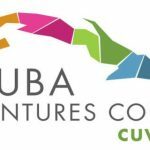 Cuba Ventures Corp. is a publicly traded Canadian company capitalizing on the growth and unique opportunities in the USD $3.5 billion per year Cuban travel and tourism industry. Travelucion, a wholly owned subsidiary, is a digital media and marketing company which owns a vast portfolio of Cuba related websites and online portals providing travel information, featuring individual web assets for Cuba’s popular cities and towns, online reservations through proprietary software, catering to international visitors to Cuba. Travelucion’s 432 Cuba focused multilingual websites generate over 30 million page-views per year, directing traffic to the company’s online booking and ecommerce sites. These online websites cover all facets of Cuba including over 80 travel destinations, hotels & resorts, bed & breakfast, tours, car rentals, restaurants, as well as Cuban culture, history, music, celebrities, sports, medical treatments and more. Travelucion’s revenues have been rapidly growing in the wake of the notable shift in American policy towards Cuba. With the shift in diplomatic relations and restrictions qualified American travel to Cuba relaxed, opening of the multi-billion dollar travel market to the Caribbean nation is becoming a reality. 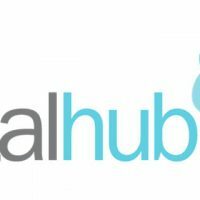 Travelucion’s continued media dominance over the past two decades has provided Cuba Ventures with a competitive advantage in the burgeoning Cuba travel and online media space. With the relaxing of rules for American travelers to Cuba and the potential of further easing, growth and investment opportunities are on the rise in Cuba. Cuba Ventures consulting division harnesses over 60 years of combined advisor experience in submitting and, obtaining approval, for joint ventures, joint production agreements and import/export permits for foreign enterprises. More recently the company has taken a royalty approach for future agreements between third parties anxious to begin comercial operations with Cuba and, the company’s Cuba Consulting Unit. For further information on Cuba Ventures Corp. (TSX-V: CUV) or Travelucion visit the Company’s website at www.cubaventures.com or www.travelucion.com. The Company has 72,412,487 shares issued and outstanding.